Olivia and Didier Le Calvez, seasoned luxury hotel managers, dreamt of producing a wine that matched their high standards. 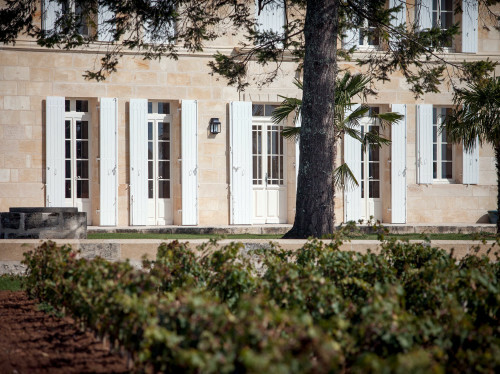 In 2009, after several years searching, they created Château Clarisse by choosing some of the best plots on the famous Saint-Émilion limestone plateau. Immediately, under Stéphane Derenoncourt's expert guidance, they undertook an ambitious restructuring of the vineyard to produce the best grapes. At the same time, they developed an impressive distribution network: Château Clarisse is served in more than 100 restaurants in over 20 countries from New York to Singapore. These restaurants have over 100 Michelin stars between them. A selection of the hotels where Didier Le Calvez was a manager and where you can find Château Clarisse. In addition to these establishments, Château Clarisse is served in over 100 restaurants around the world. Today, these restaurants are asking for older vintages of Château Clarisse. 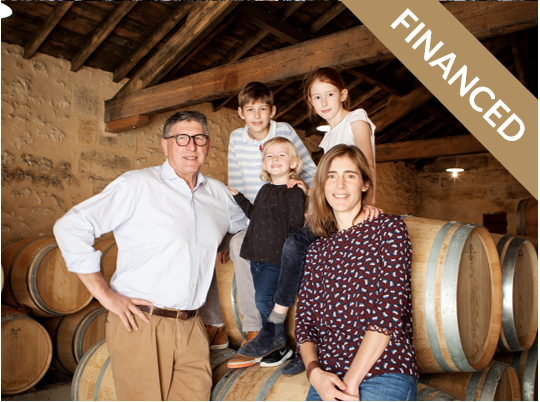 Olivia and Didier Le Calvez want to buy and renovate a building and at the same time to finance the expansion and storage of older vintages. To do this, they want to involve wine lovers by using an innovative form of financing: the “WineBond®”, a bond with interest paid in wine. The Château reimburses you every year in EUROS and pays you interest with bottles delivered straight to your door. There are several investments plans available depending on the wines you like and your original investment. Please note that you need to be registered and signed in to view the different plans. However, if you already know the wines of Château Clarisse and you want the same wine each year, you can choose from one of the packages below. With the 2 “ Puisseguin-St-Emilion” plans you receive either 6 or 12 bottles a year from the wines produced by Clarisse in the appellation Puisseguin-St-Emilion. Click here to learn more about the different plans. Please note that you need to be registered and signed in to access the different plans. In 2018, the wines you receive will be from the 2015 vintage; the vintage will then change every year. Meaning in 2019 you will receive the 2016 vintage, in 2020 the 2017 vintage and in 2021 the 2018 vintage. The prices indicated are for delivery in mainland France (Corsica not included). The funds collected will be used to buy and redevelop a building and to help Chateau Clarisse expand their stock of older vintages. This project aims to satisfy the restaurants' demand for older Château Clarisse wines. If the objective is reached, the extra funds will be used to store more wine. Château Clarisse has already reached its first target of €100,000 and its second target of €150,000. Ce supplément équivaut à 12,50 € de surcoût d'expédition multiplié par 4 années d'expédition. Corsica, United Kingdom, Belgium, Netherlands, Luxembourg, Germany, Italy, Spain. Austria, Denmark, Finland, Greece, Ireland, Portugal, Sweden, Switzerland.